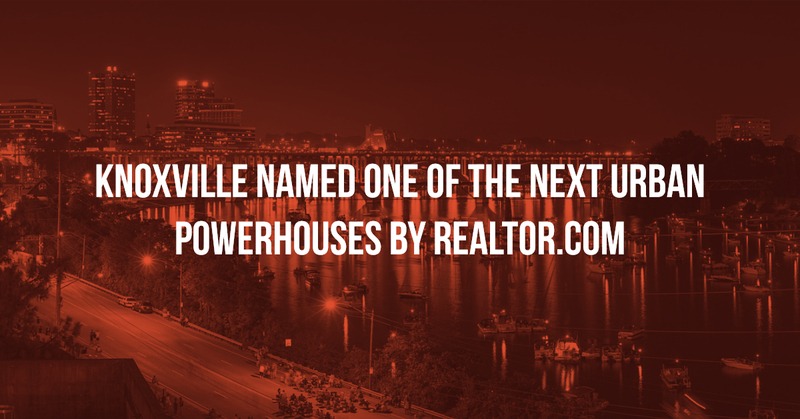 Did you know that Knoxville has been named one of the next urban powerhouses by Realtor.com? Realtor.com recently ranked smaller cities in the US that are poised to skyrocket in the coming years. Realtor.com looked at the top 200 largest metros, examining job growth, income, housing prices, and cultural amenities to determine what cities in the US are poised to become the next urban powerhouses. While cities like Nashville and Austin are thriving right now, these cities are poised to become the next big thing. The cities on this list are in a sweet spot where prices haven’t skyrocketed yet. Realtor.com predicts that Knoxville will become one of the next urban powerhouses due to its potential job growth, great location, housing prices, and cultural amenities. According to Sperling’s Best Places, job growth in Knoxville is predicted to increase by 38% over the next decade. Knoxville also enjoys a great geographic location, making it close to many other cities. It’s just a couple hours away from other urban hubs including Nashville, Atlanta, and Charlotte. Knoxville is also enjoying a strong housing market. Median list prices have increased 9.9% year over as of April 1, according to data from Realtor.com. But, even with the increase in home prices, Knoxville still has very affordable homes. In addition, Knoxville is close to the Great Smoky Mountains National Park, which is the most visited national park in the country. Earlier this year, Knoxville was named one of the cities Americans are flocking to. This year, Knoxville was named one of the Best Affordable Cities In The US.